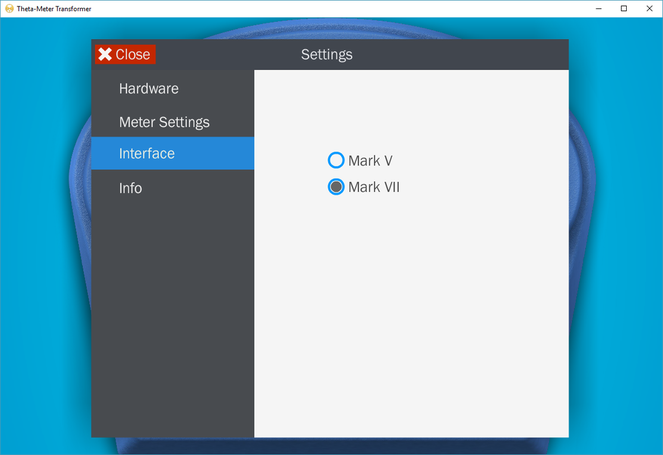 It have two different interfaces - Mark VII and Mark V.
You can easily switch interface in Settings. 3D design was made by Paul Sherstobitoff. 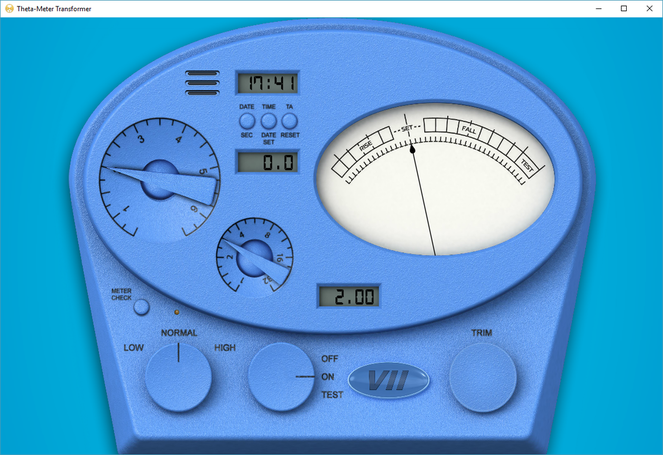 Program could be used by students to do e-meter drills. Iterface is the same as for Mark V program. It made clear the transition I will make to the Theta meter from my 35 years ago mark V emeter use. 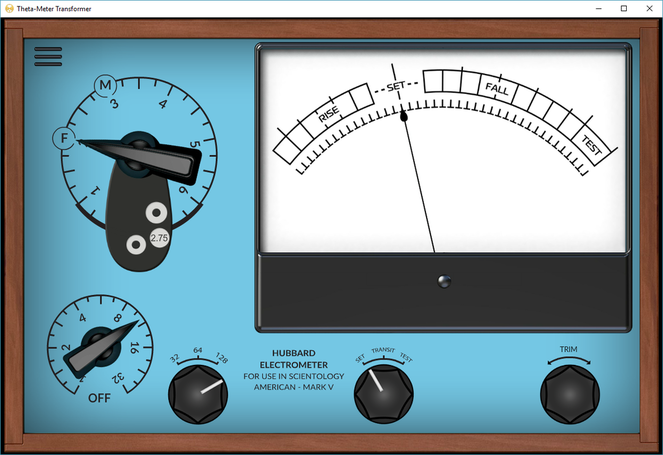 I can use the original emeter drills and solo on the theta meter. This demo adds more to my confidence of being the solo uuditor and PC.